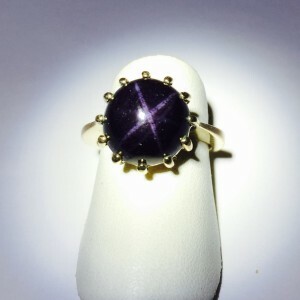 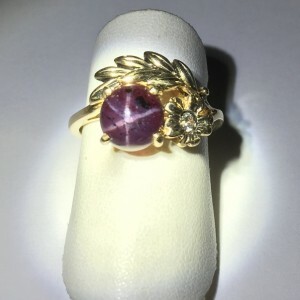 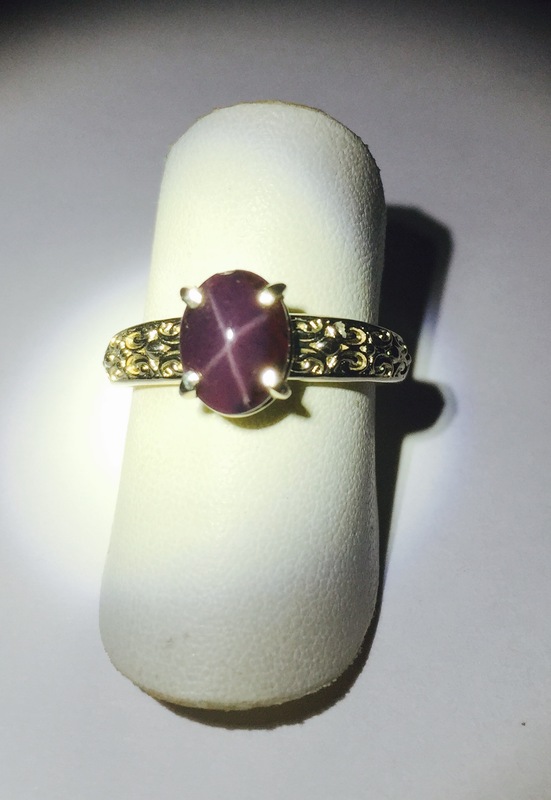 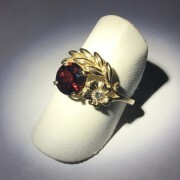 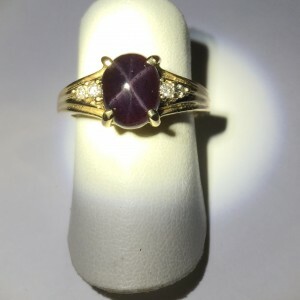 This is an old fashioned style Star Garnet Ring. 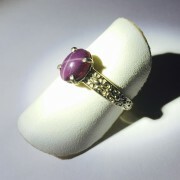 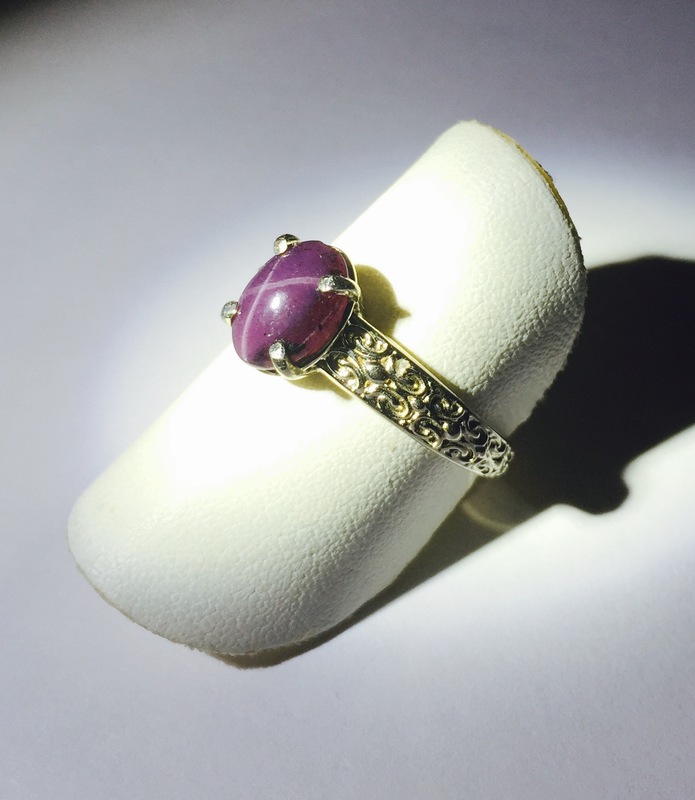 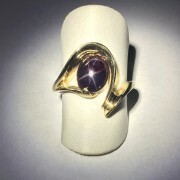 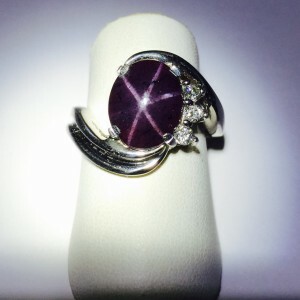 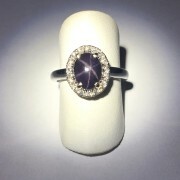 It has a 8×6 Oval Four Ray Star Garnet in a simple antique white gold mount. 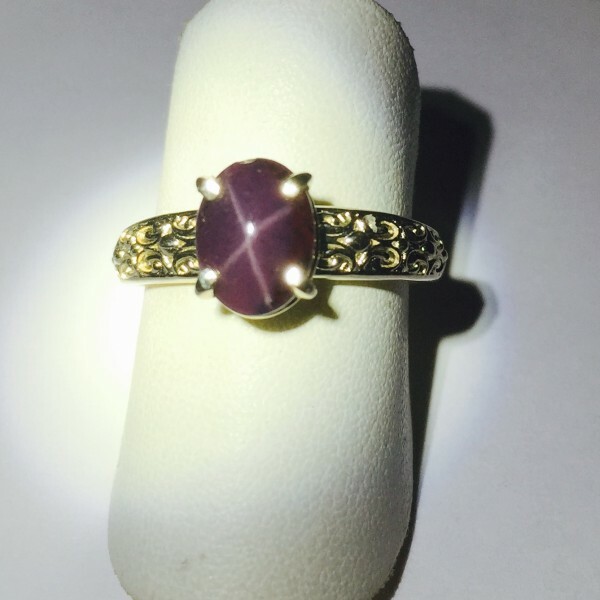 It has a nice clean look.